Portfolio Categories: books, commissions, and writing. 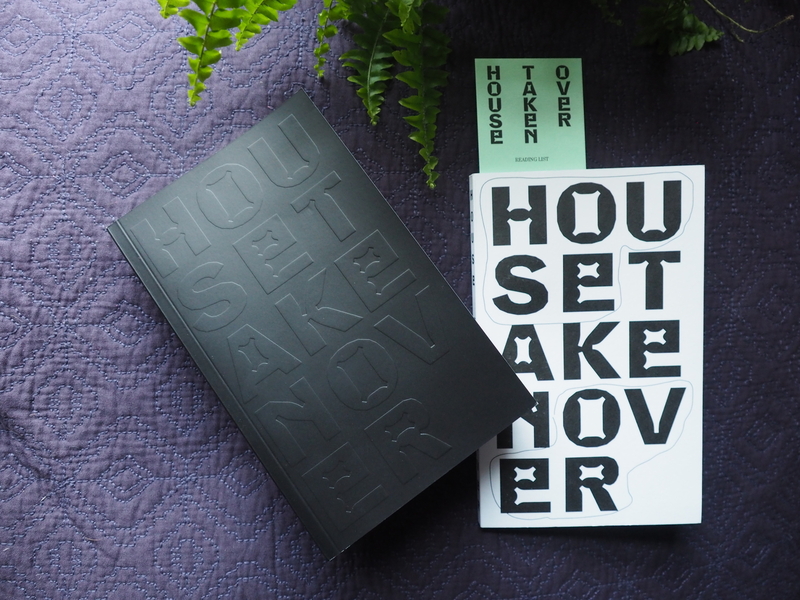 Copies of House Taken Over are now available from the Serpentine and Whitechapel bookshops and a reading copy has been acquired by the National Poetry Library at the Southbank Centre. Between 2017 and 2018, House Taken Over hosted five lunches with artists, residents, curators, educators and thinkers in Eduardo Padilha’s flat in South London where, under the name of BalinHouseProjects, the artist explores the house as a civic space and an alternative to the white cube. 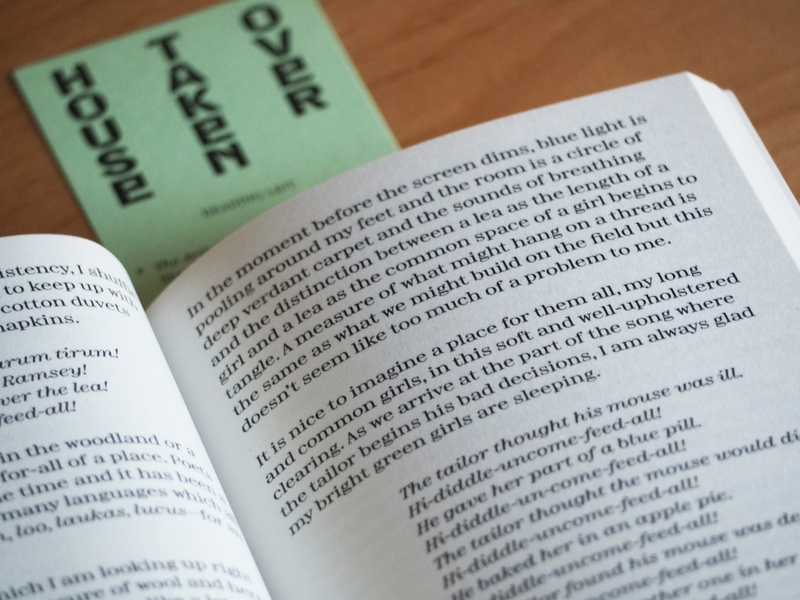 Curator Jes Fernie was invited, as BalinHouseProject’s writer-in-residence, to edit a collection of essays, interviews and recipes and House Taken Over was published in 2019. The book includes an experimental text by Holly Corfield Carr; interviews with Martin Cordiano and Russian theatre director Ada Mukhina about living with art; and texts by Harold Offeh and Lorena Muñoz-Alonso. 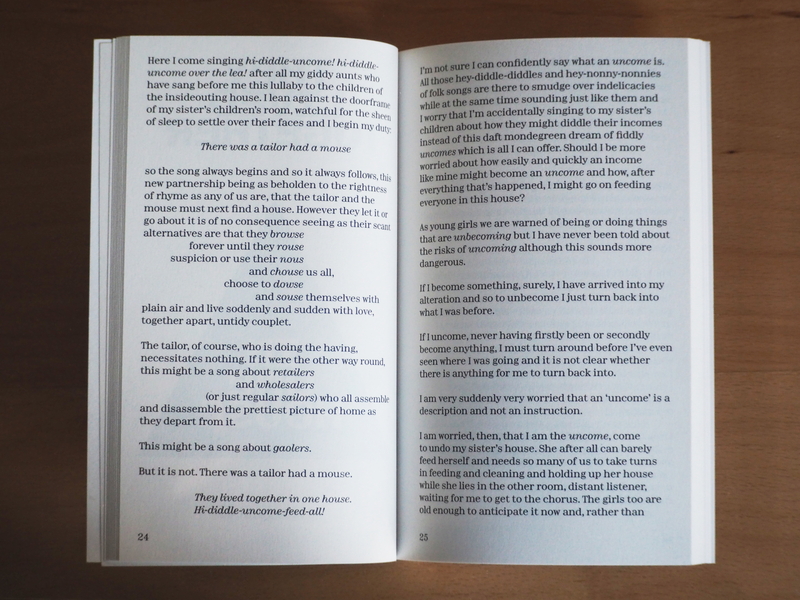 The book is designed, with a limited edition in black, by Sarah Boris. Holly’s commissioned text is the short story ‘They Lived Together in One House’, weaving a strange, sad song out of language, family and the Roud Folk Song Index. In part, the text is haunted by the inside-out logic and bombazine sky of the-mice-on-the-mouse-organ’s poor, old Uncle Feedle and his house in the thirteenth and final episode of the British children’s television programme Bagpuss, originally broadcast on 7 May 1974. 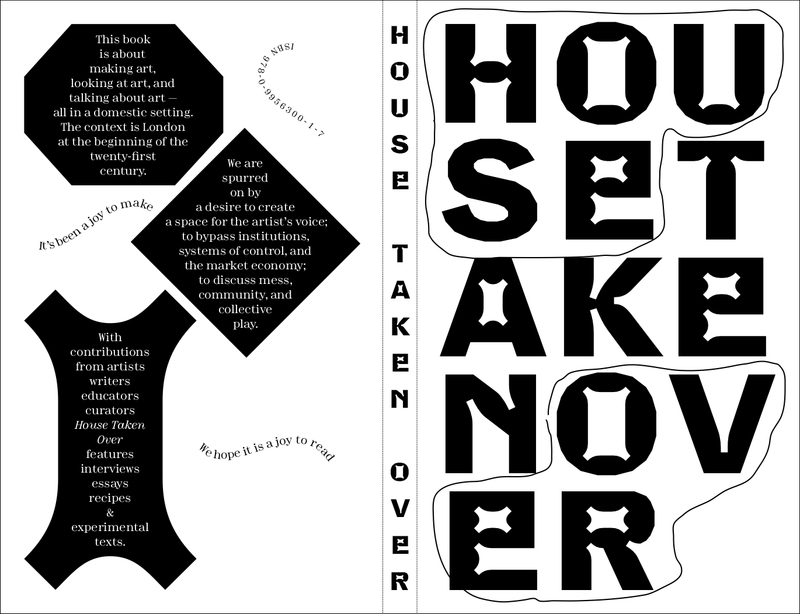 House Taken Over was launched at Matt’s Gallery, London on the 10 January 2019.